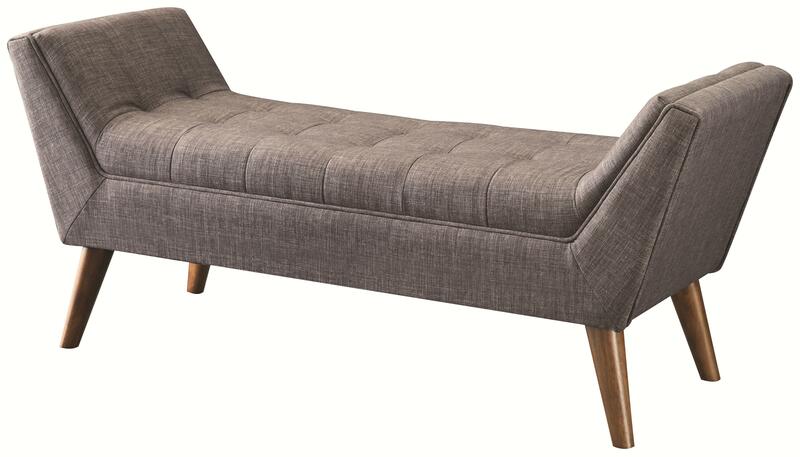 This bench is a great addition to your home. This piece features mid-century modern details such as cone-shaped tapered legs and raised sides. A soft, tufted seat provides added style and comfort. The Benches Amersly Accent Bench by Coaster at Red Knot in the Oahu, Honolulu, Kapolei, Pearlridge, Salt Lake, Hawaii area. Product availability may vary. Contact us for the most current availability on this product. The Benches collection is a great option if you are looking for Contemporary furniture in the Oahu, Honolulu, Kapolei, Pearlridge, Salt Lake, Hawaii area.